Is there a better alternative to Syntra Small? Is Syntra Small really the best app in Internet Utilities category? Will Syntra Small work good on macOS 10.13.4? 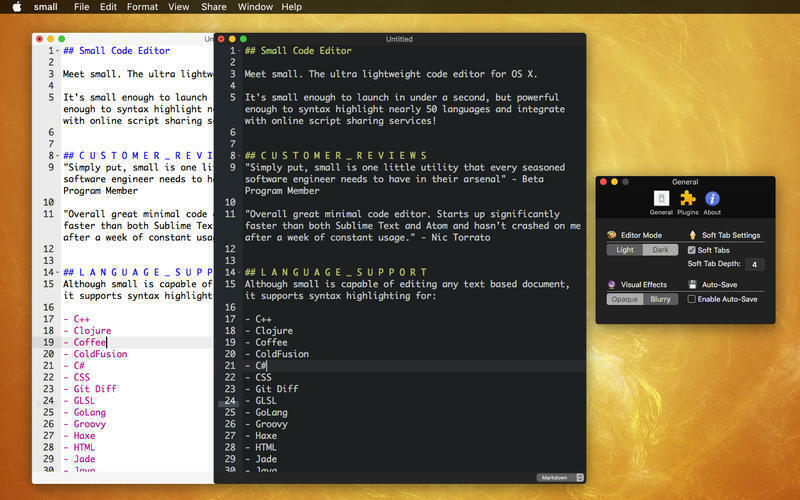 small is an ultra-lightweight code editor. 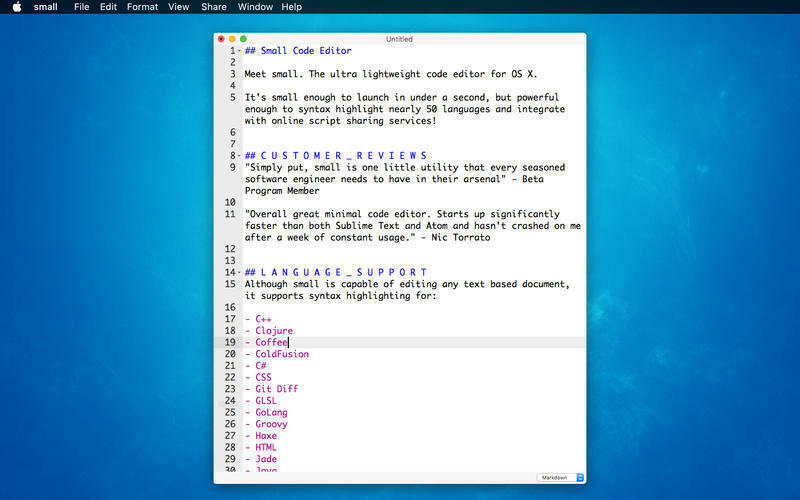 It's small enough to launch in under a second, but powerful enough to syntax highlight nearly 50 languages and integrate with online script-sharing services. Syntra Small needs a review. Be the first to review this app and get the discussion started!